The combination of saline and xylitol makes Xlear Nasal Spray the most effective natural nasal spray on the market. It moisturizes and soothes the nasal passages, and also washes out harmful irritants and contaminants like dust. Xlear effectively alleviates congestion due to allergies, colds, and the flu. Xlear has no rebound effect, and is non-addictive and non-medicated. The Three Brains line was created to support the critical relationship between the heart, the gut, and the brain. The kit is designed to support overall mental and cognitive health, while individual products have specific benefits for one or more of the three brains. Trust your gut. Introducing new daily care probiotics done the Genuine Health way! New advanced gut health probiotic is a multi-strain formula that mimics the balance of human gut flora with a unique delivery system that guarantees potency - so you feel the difference. CNHR columnist and business coach Dave Fuller has written a book called Profit Yourself Healthy. The book has been designed to help business owners and managers, increase sales and profits, deal with cash flow issues, develop strategies for future expansions, manage people issues, implement systems, reduce cost overruns, and plan for exit and succession. For more info, visit unstuckstrategies.com. Walking into a Whole Foods or a Loblaw’s is exciting for most people for so many reasons: the food smells simply incredible, the atmosphere is electric with the chatter of happy shoppers and the ring of the registers is almost soothing. These aren’t just circumstance - they are planned. Just like the floor you walk on and the perfectly lit product you race to. One of the keys to a business’s success, and a factor that needs to be paramount in the success of many small businesses, is the ability to relate to customers and sell his products and services. While selling seems to come natural to a few people, to most of us entrepreneurs, it takes work and we need to understand that there is a science to it. Below are the steps to being successful in selling. Perhaps the most important role in natural retailing is the role of the recommender... the person who helps choose which product will bring the greatest benefit and value to the end user, the consumer. A manager of an independent natural food store, when her store was smaller, met individually with her department managers every week to talk about how things were going in the department. If this GM noted any performance issues in the department, she would bring them up in this meeting. She would ask if the manager wanted any help in strategizing how to address the issues. Sometimes they would go over “talking points” for the manager to use in a conversation with an employee. 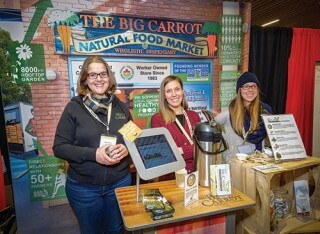 If you are looking for a boost of energy and enthusiasm, don’t forget the Guelph Organic Conference is coming January 26-29 to the University of Guelph. 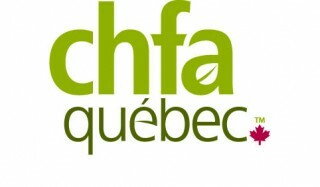 CHFA Quebec is returning to the Palais des congrès de Montréal on February 10 & 11. With just over 130 exhibitors, this event delivers a unique opportunity for local retailers to meet with manufacturers and distributors from across Canada. If you happen to be in Saskatoon and are hoping to see Lovie Wesolowski, there are two places you are likely to find her. The most obvious spot is her store of 40 years, Nature’s Health Centre. It’s where she has helped countless people regain and maintain good health. It is also where she has helped launch the careers of many elite athletes. For father and daughter team Dennis and Leane Janz of Good N’ Natural in Steinbach Manitoba, it was time. “We were maxed out on our selling space, as our sales per square feet in our store were exceeding good retail practices. So, we could not realistically anticipate growth beyond increases attributed to inflation,” says Dennis.